Do you have a creative idea? Are you in need of funding? Join our competition to win $10,000. Zoomaal and Hivos are partnering to set up the ‘Hivos Creativity Competition’ in order to encourage Arab creativity and innovation. This competition aims to promote originality and ensure that at least one project in the Arab world will be supported. To support both the economic and social standing of the Arab world with creative projects. Anyone in the Arab world, or someone from outside who has a project in the Arab world, can post his/her creative idea on Zoomaal’s platform and compete for the chance to win up to $10,000. All projects that start and end during this period may take part in the competition. 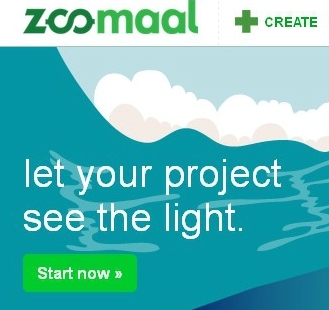 For more information and to upload your project before the deadline, go to: https://www.zoomaal.com/home. Zoomaal is the first online platform for the Arab world that facilitates easy and well-organised crowd funding for projects. It is a pan-Arab initiative supported by four major venture capitalists in the MENA region: Middle East Venture Partners, Wamda, N2V and Sawari Ventures. The Zoomaal platform matches crowd funding with independent projects which normally have trouble finding the funds they need to start up. Hivos supports Zoomaal because it is an independent funding mechanism for innovative art and cultural projects.